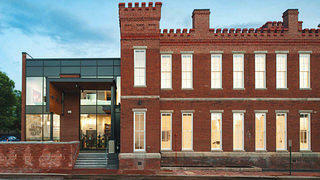 The recently restored and expanded Black History Museum and Cultural Center of Virginia. This past spring, the 35-year-old Black History Museum and Cultural Center of Virginia reopened in a new location, Richmond’s historic Leigh Street Armory, after a 15-month renovation and restoration. We chart the history of both the museum and its new home here. 1894: The Richmond City Council votes narrowly to approve $7,500 for the construction of a new armory for Richmond’s African-American militiamen. 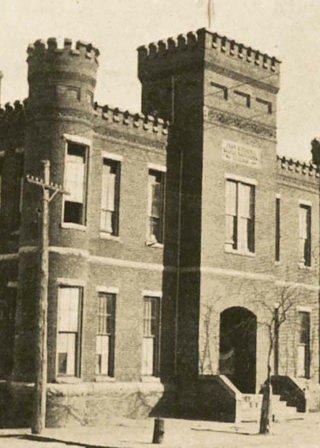 1942: After serving as a school, the Leigh Street Armory reopens for use by African-American servicemen during World War II. 1981: Carroll W. Anderson Sr. founds the Black History Museum, eventually securing a permanent location in a historic house in Richmond’s Jackson Ward district. 1985: A fire devastates the Leigh Street Armory, damaging the second floor and burning a hole in the metal roof. 2003: The armory is stabilized with help from a Save America’s Treasures grant. Crews install new floors and a temporary roof, and rebuild exterior brickwork, including the fire-damaged eastern wall. 2013: The building is acquired by the Black History Museum, which restores and expands the structure with assistance from city and state grants, and individual donors. 2016: The Black History Museum and Cultural Center of Virginia reopens, featuring state-of-the-art digital exhibits and a new glass, wood, and steel entry.